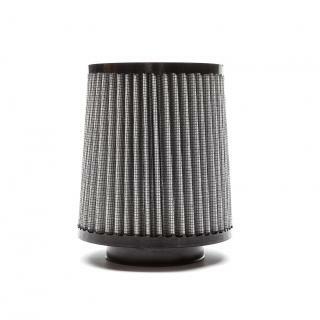 Forgetting to check the condition of your air filter can have a dramatic effect on vehicle performance and fuel economy. 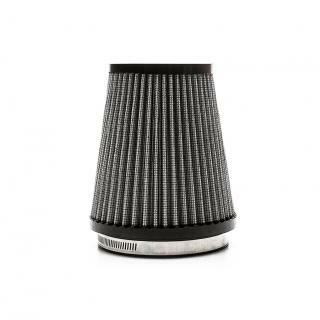 If you have not checked the condition of your performance air filter during the last few oil changes, it might be time to take a look and clean it. It could make all the difference during your next dyno session. Consisting of specially formulated cleaning chemical and oil, our filter cleaning kits are perfect for the proper maintenance of your filter. 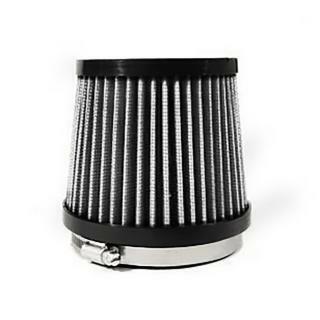 Depending on your location, we recommend you inspect your filter during every oil change and servicing it every 10,000 to 15,000 miles for maximum performance and protection. 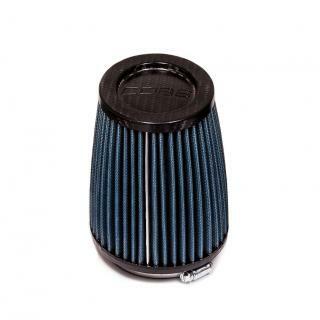 For use with COBB High Flow Filters, SF Intake air filters. Universal Air Filter Cleaning Kit - Clear is rated 4.8 out of 5 by 11. 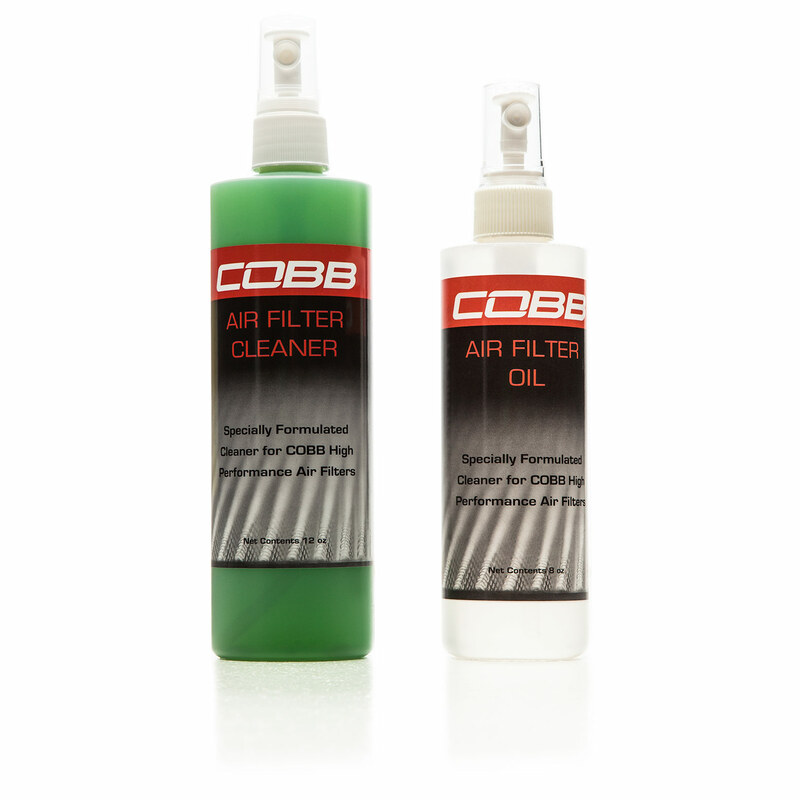 Rated 3 out of 5 by Radams_rex_4555 from Decent I bought this because i needed to clean my filter, i was hPpy how everything was packaged but it seemed to me like the product isnt so specialized for cobb. the cleaner smelled like simple green, and the oil seemed like a very basic and generic oil, with no coloring. Also there were no clear and detailed directions for someone who has never done this before. The product works great and delivers what it needs to. Rated 5 out of 5 by minavizz from Great combo Used both on only a slightly dirty filter and was happy with the results. Bottles leak after spraying a bunch of times so make sure to do it outside or over a sink. Rated 5 out of 5 by slubell614 from Easy to use Simple, clear cut instructions. A little pricey, but works great. Rated 5 out of 5 by Trent from Ease of use, great cleaner for the price Very simple to use, cleaned my SF Intake beautifully! Rated 5 out of 5 by Kiedh from Great functionality for the price. Works great for cleaning and oiling. Finicky caps.